BE & FEEL BALANCED with Floral scents of rose, gardenia and jasmine! 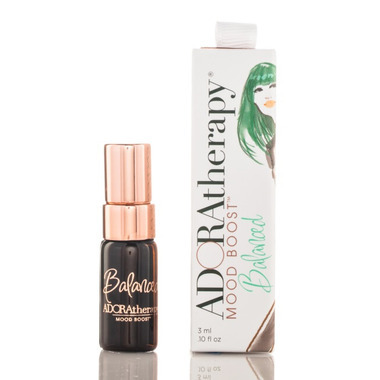 Their Gal on the Go Balanced Mood Boost spray lets you try on many personas and explore your unique qualities with expertly blended 100% natural and organic essential oils are the next big thing in natural fragrance. Designed to express the many moods and personalities of all women of all ages. Be more of what you want to be. Feel more of what you want to feel. Anytime. Anywhere. Ingredients: Contains a proprietary blend of distilled water, organic lavender, bergamot, ylang ylang essential oils, organic gardenia monoi, neroli essential oil, rose and jasmine absolute, polysorbate 20.